The restaurant business has always been low-tech. The common belief is that you don’t need a lot of fancy computers to give your customers great service. You just need heat, cold, and delicious food. But as simple as the industry may seem, the reality is often very different. Particularly as it applies to scheduling your employees. What worked just ten short years ago, no longer makes sense in this increasingly-digital world. Scheduling in the restaurant industry has always been a challenge. The pen-and-paper method is decidedly permanent—when you produce a schedule it can’t be changed without making up a completely new document. And then there’s the headache of making sure all your employees receive a copy or at least see the schedule before they have to work. Perhaps that’s why the industry hasn’t evolved much in terms of scheduling. It’s still trying to deal with the pains of the pen-and-paper method with which it started. But as we crawl deeper into the 21st century, what worked just ten short years ago, no longer makes sense in this increasingly-digital world. Young people—your employees—use technology throughout their daily lives. Mobile devices in particular, have become the default means for communication. In addition, new technologies that serve the restaurant industry have started to make the business a lot more efficient. These technologies save time and money and increase efficiency. Those responsible for scheduling in the restaurant industry face some unique challenges that can’t be solved by a printed schedule tacked to the wall or an Excel spreadsheet delivered via email. Chief amongst the challenges that small businesses face when it comes to scheduling is getting the completed schedule out to all employees. We’ll call this distribution. That challenge is compounded when changes need to be made. It’s not uncommon to post your schedule (whether on the wall or sent via email), and five minutes later, someone needs to make a change. You make the change and resend or repost. Twenty minutes later, another change is necessary so you repeat the process. Now, if you’re using email, employees have three copies of the schedule. Which one is correct? What if they use the wrong one by mistake? That brings us to another challenge small businesses face in regards to scheduling: no-shows. 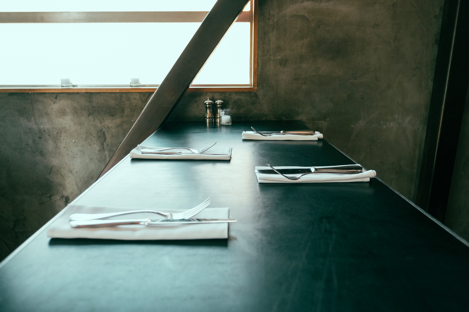 Even with the perfect schedule in place, no-shows are a common occurrence in the restaurant industry. Yes, your business may use Facebook or some other social media app to exchange shifts. But what’s to stop employees from forgetting that an exchange has been made? This becomes a very real possibility when apps are used that aren’t specifically designed for the restaurant industry. And what is a manager to do when an employee fails to show? Frantically try to contact everyone to see if a sub can be found? That’s not an efficient use of her time. Is there an effective solution to these restaurant-specific problems? Scheduling applications solve a lot of the challenges restaurants face. But regardless of the method you use to create and distribute your schedule, there are basic practices that should be observed to ensure that your employees are happy, your business runs smoothly, and you can avoid the headaches that come with scheduling conflicts. Distribute Your Schedule Well In Advance: Make sure to distribute your schedule at least two weeks in advance. Employees want to be able to see their work schedule ahead of time so they have the opportunity to make changes if work times conflicts with personal time. Get The Right Employees Working At The Right Time: There are so many moving parts to a schedule that it’s a given that there will be conflicts. But don’t let those conflicts occur because of something you did. Double-booking, forgetting a time-off request, neglecting someone’s vacation time—all of these are very real challenges managers face. But the new scheduling apps provide help, feedback, and even warnings to take the guesswork out of the scheduling process. Keep Employees Updated: Communicating via email has waned in usefulness in recent years. Now, the vast majority of employees at restaurants and retail stores keep everything on their phone. It’s good practice, then, for companies to provide information via this medium. Schedules, updates, and communication should all be done via mobile device. Thankfully, there are solutions for the challenges of distribution, preventing no-shows, and communicating with your employees quickly and easily—and many more as well. Newly-developed apps like Sling allow you to update the schedule in real-time. That way, there aren’t multiple copies of your schedule floating around out there confusing your employees. When you make changes, everyone sees them. You essentially have a master document to which everyone has access via their mobile device. This master document concept, coupled with powerful reminder and alert features, helps to cut down on no-shows to the point where they become a thing of the past. In addition, exchanges become simple and fluid with the same real-time updating and alert features. These new industry-specific scheduling tools also provide increased service to employees. Now they are able to affect their schedule, ask for time off, and communicate with fellow employees, all from their mobile device and without having to call their manager. In addition, companies are using these powerful applications to build better company culture. Providing employees information and updates about the company makes them feel more engaged and part of a team. 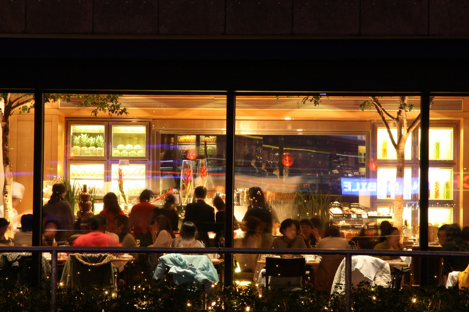 Few restaurants have adopted technology to the extent that they could, or should. Because of this, scheduling is still a pain. Yes, it’s never going to be easy getting all the right employees in all the right spots. But the current crop of scheduling apps take the guesswork out of the process and make it far easier. The restaurant industry is hard enough. The scheduling process shouldn’t have to be. And with specially-designed, restaurant-specific digital solutions, it isn’t. 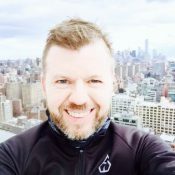 Helgi Hermannsson is a 15+ year software expert and developer. He is currently the CEO of software company Gangverk and shift scheduling software platform, Sling.